Published on May 11, 2015 by Martyn. Be the first to comment! 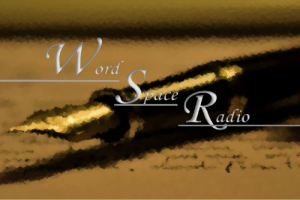 Authors are always happy to talk about themselves (well, this author is, anyway), so I was chuffed to be invited into the studios of Wordspace Radio last week to discuss my work with three of my undergraduate students. The session was recorded as a podcast at Leeds Trinity University, where I’m a lecturer in creative writing, as part of a series of interviews with published and unpublished writers. It was hosted by Billy Humphreys, Ethan Lowe and Megan Wood, and edited by Katherine Clayton – second-year students on the BA in English & Writing – who set up the in-house radio station earlier this year. The interview ranges across all manner of topics – from books and writing, to UKIP, unicorns, the artist formerly known as Prince, Leeds Rhinos, chocolate Hobnobs and goatskin writing paper. It also includes an exclusive reading from my new, as yet unpublished, young-adult novel Twenty Questions for Gloria, which comes out next spring. To listen to the podcast please click on this link to YouTube.